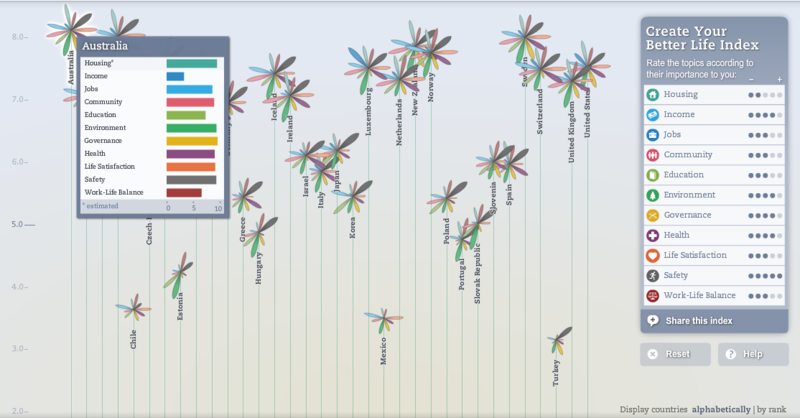 OECD released the first part of the Better Life Initiative: your better life index. Your better life index is a data visualization tool that let you compare countries according to criteria that you choose and which are beyond traditional economic indicators. The application has been designed by Moritz Stefaner and RauReif. 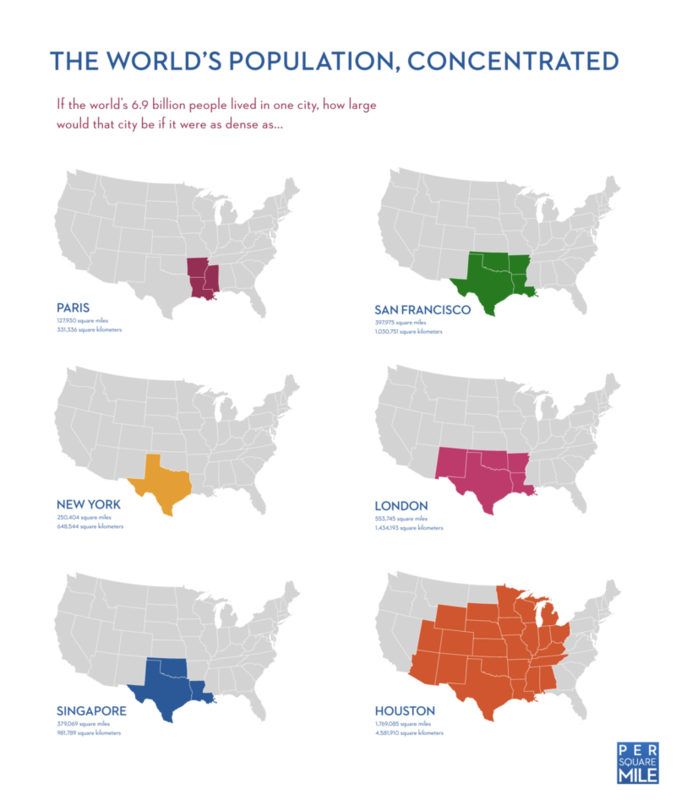 "Create your own interactive map - Get started now - ChartsBin.com"
Is Your Religion Your Financial Destiny? 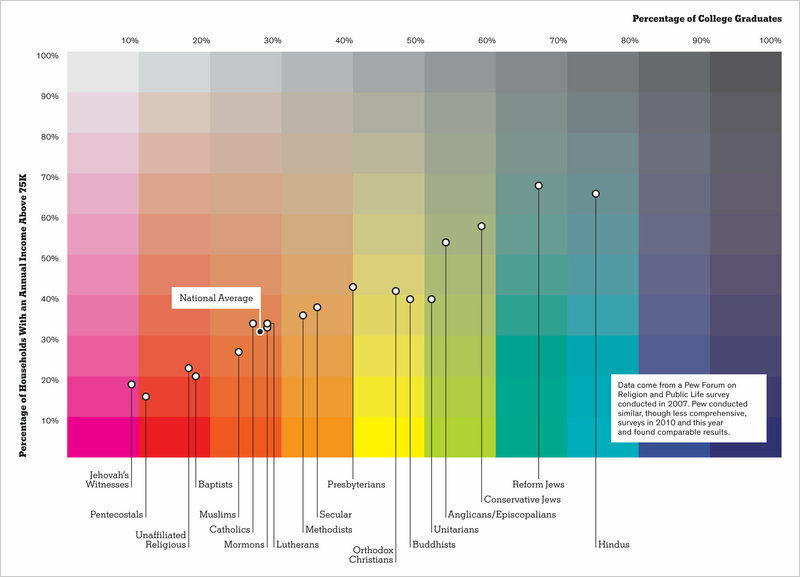 The New York Times pubilshed this chart shows the economic and educational differences among the country's various religions. 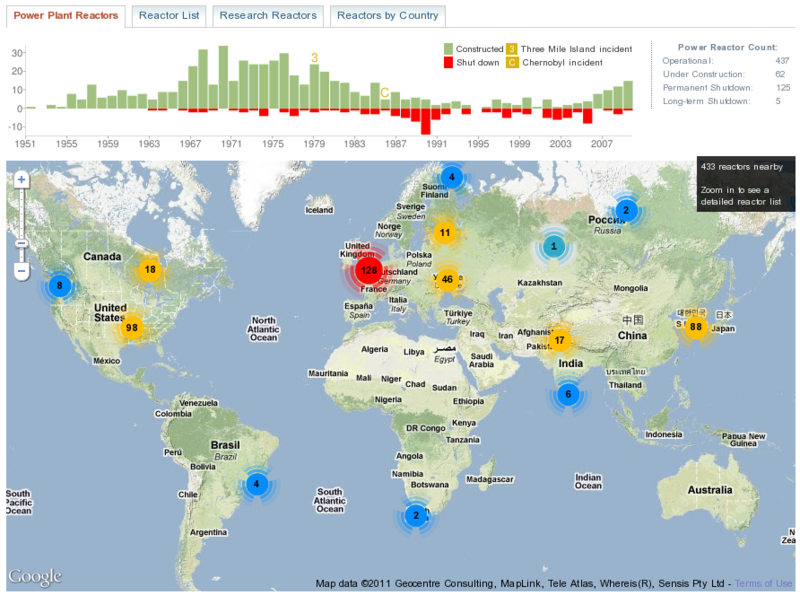 Voice of America has complied a database of every public record on nuclear facilities from the International Atomic Energy Agency and created a Google Map of the results. When you zoom in on the map, details of the nuclear facilities are shown in the map sidebar. Voice of America also use the Google Chart API to display histograms of plants built or shut down in any given year, year-by-year power output records from every single facility worldwide and maps showing the power output and number of plants in each country. Note: If you read this via Email or Feed-reader click Permalink below to download bigger image. Here is a stunning visualization of the collapse of the music industry from Bain. 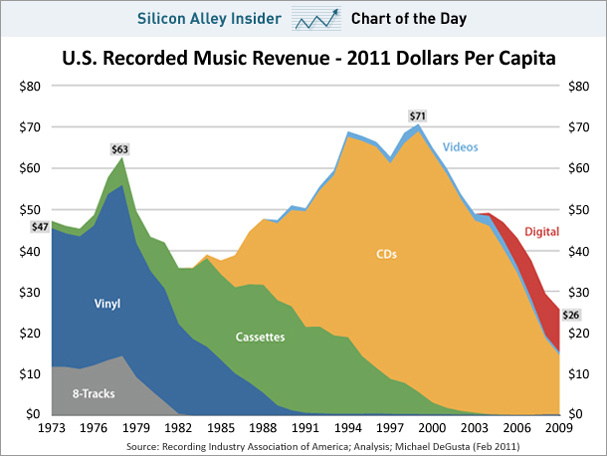 As you can see, the growth of digital sales is not doing enough to offset the death of the CD. Does the difference between the age of a country's people and its leader matter? This visualization made of collecting tweets containing the words 'love' and 'hate' for a couple of years. It is a fun project done by Jeff Clark from Canada, that he finished just in time for Valentine's Day. This infographic made by mint.com look at the average amount spent on flowers, jewelry and intimates in 2010 and compared the results to 2009. 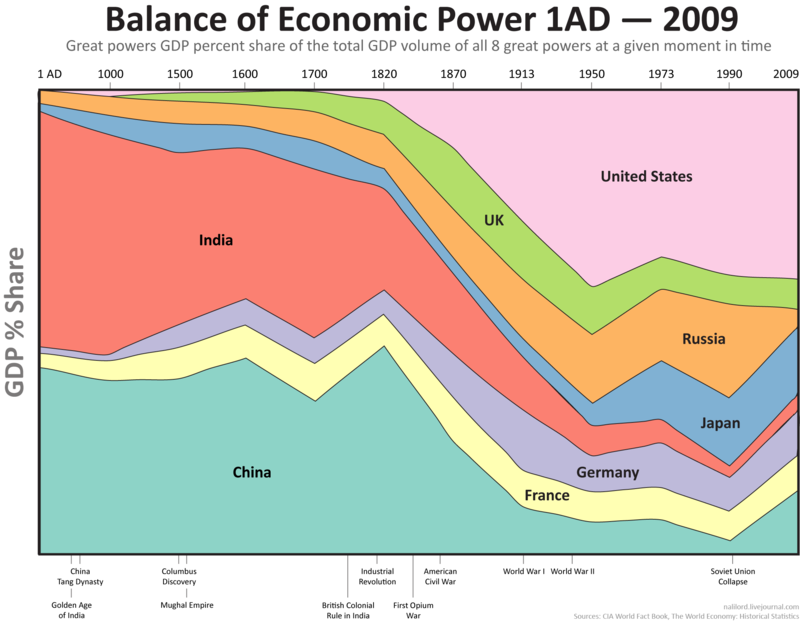 This timeline chart shows the percentage of the GDP of each country at a particular time period. 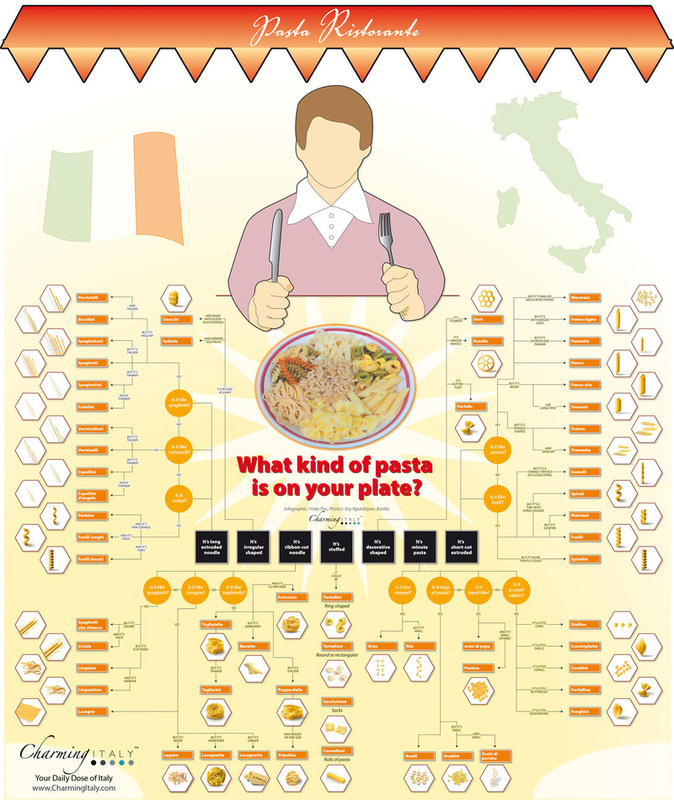 What kind of pasta is on your plate?